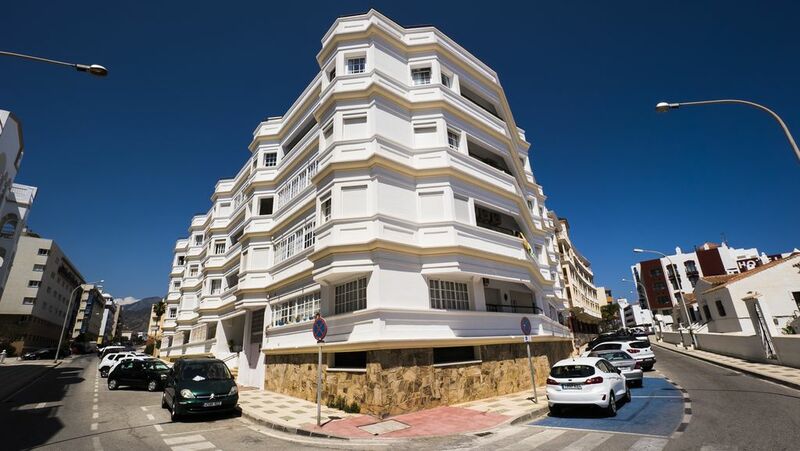 El Chaparil Beach apartments are situated close to the centre (leisurely 8-10 minutes walk to the Balcon De Europa) and only a few steps from Torrecilla/Playazo beach. This is a modern 1st floor apartment. It consists of main room/ open plan kitchen, 2 bedrooms (1 King size bed)(2 single beds), all with air conditioning & large bathroom with walk in type shower. The complex is small, quiet and very well run with a lift service. From the balcony there are partial sea views & good views of the mountains. There is a really great full size pool in the gardens. No real need for a car here as there are lots of bars and restaurants on your doorstep. Street parking is available beside the apartment complex but it does get really busy during July/August. No Smoking and No pets allowed. There are 30 apartments in the complex but because only a few of the owners rent - the pool area is usually quiet. Prices are fully inclusive of gas/electricity and heating. The Apartment is cleaned prior to your arrival. Bed linen provided. Hand & bath towels provided. Please bring your own beach towels. Changeover day is flexible.